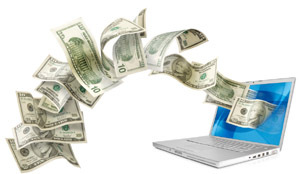 If you are looking to earn thousands of dollars in cash through online affiliate marketing then this is without doubt the product you must be promoting! We are looking for both beginners and experienced online marketers who can help promote and sell this product. Why Should You Promote Farmville Automizer? - Farmville is an enormously successful online social networking game with over 10 million daily active users. - There are tens of millions of Farmvillers in the world, each eager to build the farm of their dreams! - We are the ONLY digital product on the market today that provides a solution to become a Farmville Billionaire. - We pay you 75% of $27 for every sale you refer to us! That means you get $20+ for each sale you send us! - We have an extremely low refund rate; less than 4%! - We reward some of our successful affiliates with bonus monthly prizes like PS3s, iPads, iPhones etc! - We do all the hard work! All you need to do is send visitors to our site and we will take care of the rest! - It's 100% free to join our affiliate program. Try it and see what you think! No obligations. - We provide you with an assortment of free affiliate resources such as banners, videos, graphics, and keywords. - We are dedicated to assisting you in becoming a successful affiliate and are always available to answer any of your questions. - Email us any time, 24/7, and we'll get back to you within 12 business hours. To promote Farmville Automizer and earn 75% commission as an affiliate, there are 3 steps you will need to follow. 1. You will need to create an affiliate account at Plimus. Plimus is one of the largest retailers of digital products online and pay can pay you by check, wire transfer, PayPal, and even prepaid Mastercards. 2. After you have a Plimus account, you must register to promote Farmville Automizer by clicking here. You will be automatically approved for the program. 3. You must create an affiliate link. To do that, just use the link below and add your Plimus username where it says"YOURUSERNAME". When you refer customers to Farmville Automizer, you will be credited for each and every sale. Plimus will pay you on the 15th of every month! To use these banners, just insert the HTML code below on your website. Furthermore, feel free to use any graphics from our home page or any other pages in promoting the product. Here are just a handful of the keywords which are both relevant and highly targetable for Farmville Automizer. Feel free to use these keywords for PPC campaigns (like Google Adwords), article writing and blogging. Feel free to use this Youtube video on your landing pages to promote Farmville Automizer. To place these on your site, just paste the HTML code on your site and you are ready to go! Alternatively, you can create your own Youtube videos about Farmville Automizer and use them promote your link! 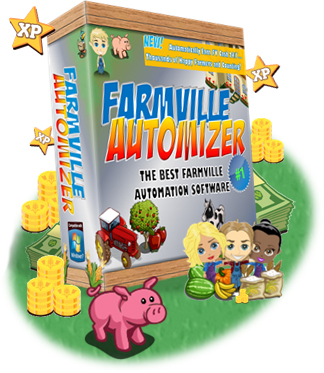 Here are some articles and reviews you can use you promote Farmville Automizer. Feel free to write some of your own.